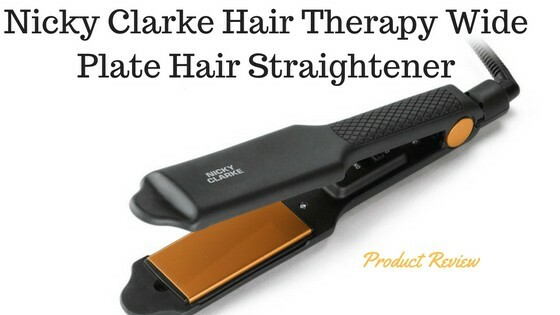 Nicky Clarke Hair Therapy Wide Plate Hair Straightener﻿﻿: Best Hair Straightener For Wavy Hair ? 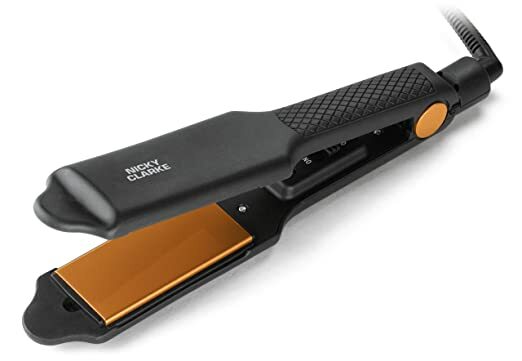 The wider plates are also great for longer or thicker hair where you would normally struggle to get some straighteners to style this type of hair this straightener makes light work of it. Integrating tourmaline ceramic technology means it will leave a super sleek shine without leaving any hotspots, no hot spots means less damage to your hair follicles. Floating plates allows you to apply the right amount of pressure for your hair type, which is why I feel these straighteners are one of the best hair straighteners for wavy hair as you may still have finer type hair so not so much pressure is needed yet as it is wavy still needs more than your average hair straightener. It’s just a great feature that you can apply different amounts of pressure depending on your hair type. Tourmaline ceramic plates that are coated give a supply of negative ions that help lock in the moisture preventing heat damage caused by the majority of straighteners elevated rates. With this high quality plate, it will leave your hair frizz free and super smooth. The worldwide voltage makes it ideal to travel as it will work just as well in any country. With a 3m long swivel cable on this straightener it makes it a lot easier so you can have the freedom to style your hair without the cord getting caught or tangled. Greatly respected in his industry, Nicky Clarke has long been heralded as the man who made hair glamorous and exciting again. With a career spanning over 35 years, Nicky is still revered by many as the best in the business. His enthusiasm for his work is stronger than ever and he spends much of his time on the salon floor doing what he loves - cutting and styling and creating beautiful hair styles. This hair straightener reaches top temperatures of 230 degrees which is quite a high temperature compared to other straighteners which means it will deal with more difficult hair types with a lot more ease. It also only takes 15 seconds to heat up which again is less time to be waiting around or styling your hair. ​Love these. 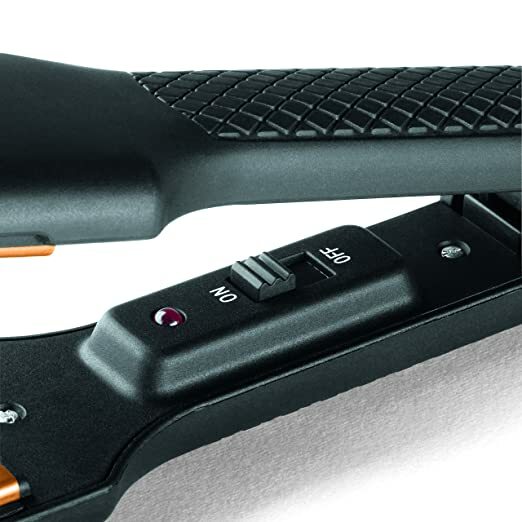 They work brilliant and are as good as GHD but a fraction of price with no loss of quality. The price of these straighteners are just great, currently on amazon for £22.00 with free delivery for a good quality pair of straighteners this is just an absolute bargain not only do they have all the necessary integrated features the plates are made from tourmaline ceramic just such a top quality pair of straighteners for such little money. 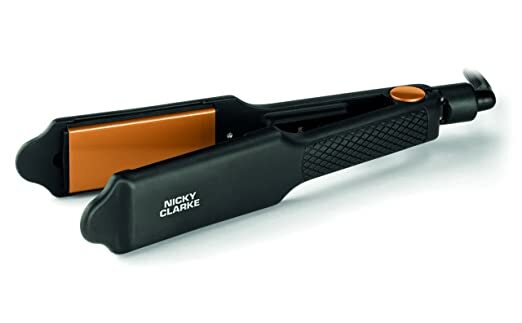 Overall I absolutely love the Nicky Clarke wide plate hair straighteners as they fulfill all your needs for your hair. It has a quick heat up time, 3m long cable with a 360-degree swivel cord, the price is under £25.00 which is great value for the amount you are getting for this price. The material is a top quality material which means it will cause less damage and no hot spots. Therefore, this hair straightener is most definitely worth a shot for this amount of money and such a well recognize brand, it won’t you down.